Bill Buckles father had been a success in the car retailing business, but the idea of actual vehicle production seemed much more challenging. Bill was particularly impressed by the world-wide interest in the possibilities of fiberglass as a medium for constructing bodies. 1955 saw his first effort, a prototype roadster based on Ford Zephyr Six components. Development continued, and the Buckle 2.5-litre Coupe resulted in 1957. Using mostly Zephyr MK.II components, supplemented by numerous performance modifications, the car was successful in racing. The excellent quality of fiberglass work was particularly noteworthy. However, a mere 20 cars were produced. In the meantime, it was found that the punishing import taxes imposed by Australia could be considerably reduced by importing just a chassis. Buckle became Goggomobil distributor for the country, imported boatloads of chassis, and built his own fiberglass copies of the standard steel shells. For the most part, they looked very similar, but the Transporter took on a more rounded shape. 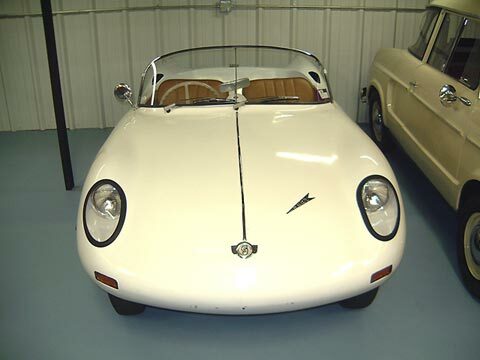 Buckle had the idea for a small open sports car based on the Goggo Coupe chassis, and passed it on to local engineer Stan Brown, a race car designer. The result was a pretty two seater in the then-current Lotus idiom. As the tiny, tight convertible top left but a very small opening to enter by, a small door was offered on later models. A rear-hinged hardtop and the 400cc motor were also available. The windscreen was a rear window from a Renault Dauphine. Some 700 cars were built.